This enchanting table features a highly figured slab of live edge Texas Mesquite that has been split and bookmatched so that the two halves reflect each other. 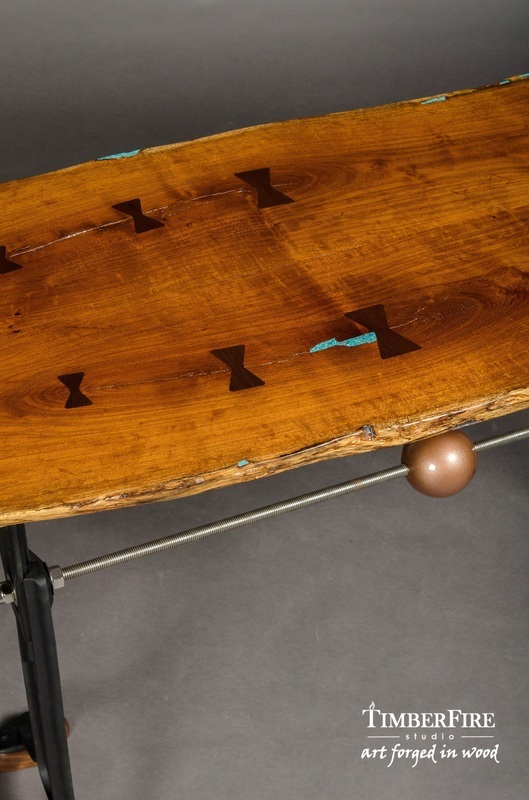 The natural cracks are reinforced with American Black Walnut bow-tie keys that descend in size to form whimsical kite tails. Worm holes are highlighted with the tranquil hue of genuine Turquoise - a gemstone seemingly cut from the sky and prized by various cultures over the millennia for its mystical powers. 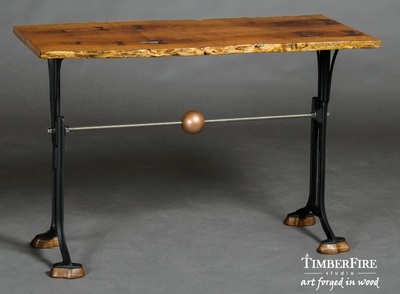 The base utilizes adjustable cast iron school desk legs patented in the 1890's that are connected with modern stainless steel hardware and accented with the tantalizing allure of a perfect sphere. Hand carved Walnut feet add to the stature and are reminiscent of cloven hooves. 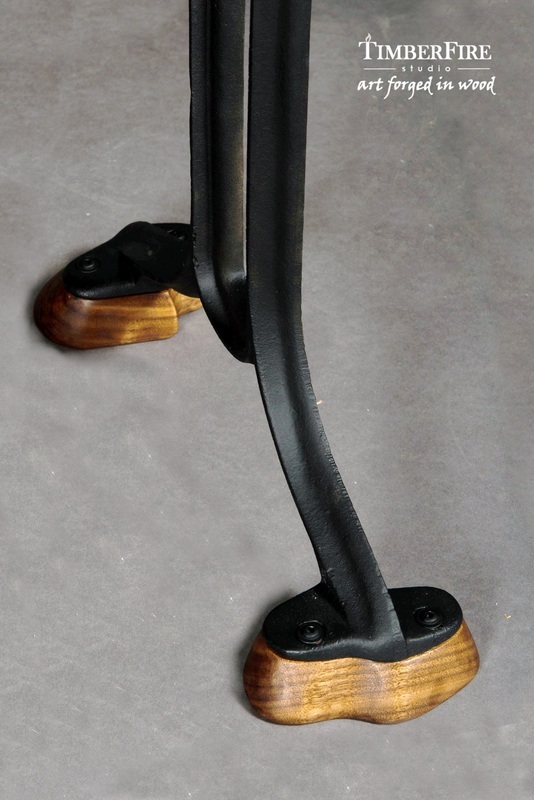 The finish is a European hardwax oil that has been hand rubbed to a satin sheen.